Last Call for registrations!! Deadline extended!! Call 712-732-4968 for more information and to get your name on the class list! 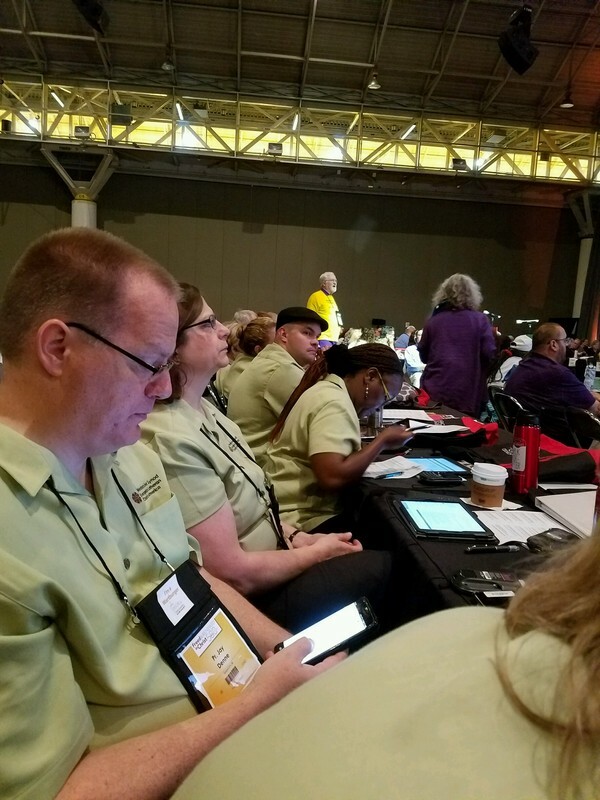 Thursday morning at 8 am CDT the Churchwide Assembly will reconvene. Watch it here!! "Declaration on the Way" passes at today's vote!! Today the Churchwide Assembly voted to receive "Declaration on the Way: Church, Ministry and Eucharist" – an ecumenical document that makes visible a pathway to Christian unity between Catholics and Lutherans. Read more about this document here!! 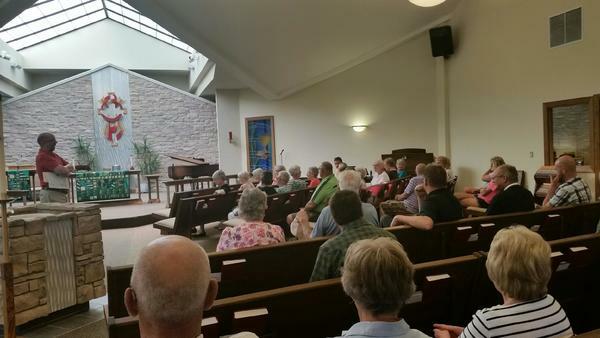 Pictured to the right in the green shirts are part of the Western Iowa Synod voting members! Western Iowa Synod's annual ConFest events will be held again, twice in the fall and twice next spring. ConFest is a confirmation festival of sorts. It is an evening for confirmation students, along with their leaders, to come together for worship, learning, fellowship and experience being Church Together! 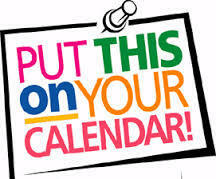 Registration for the fall events will begin on September 1st! Spring event registration will begin on January 5th! 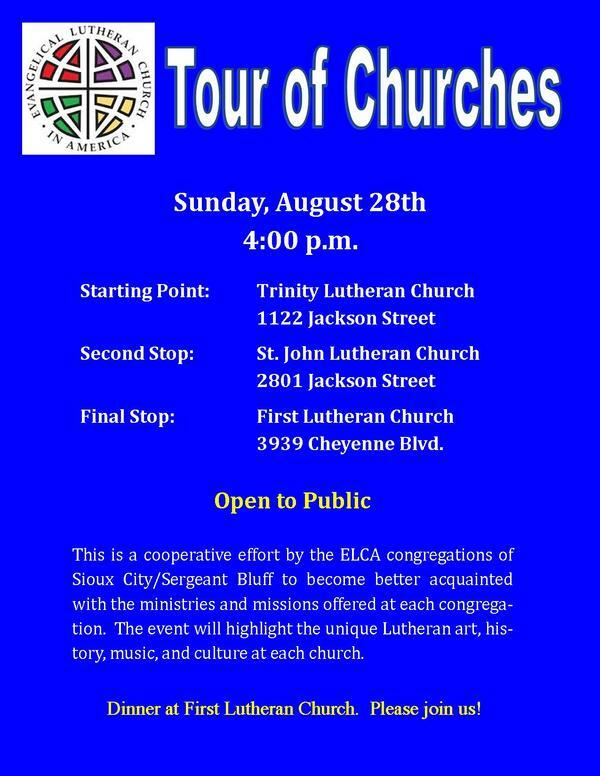 The second Tour will be on August 28 and participants will visit Trinity, St. John, and First Lutheran congregations. 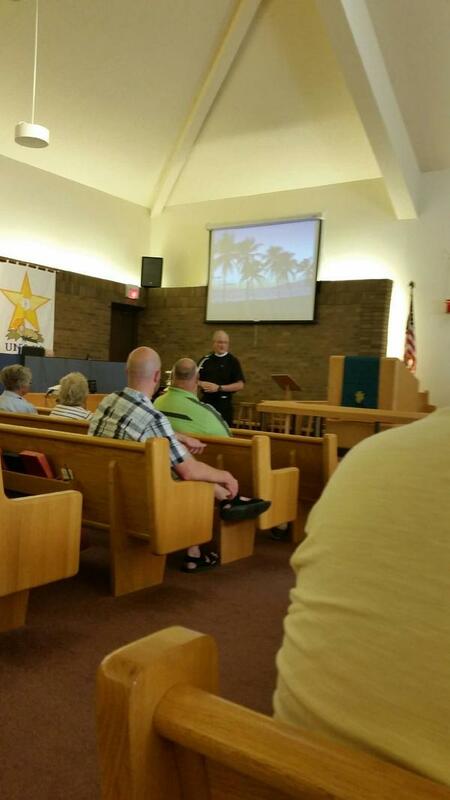 Later phases will branch out to include the other partners at the Faith Table in Siouxland. All invited to learn about where we've been, where we are currently, and dream together about where we will be Church Together in the years to come. One of Portico's featured wellness activity invites you to strengthen your emotional well-being through daily prayer practice. Intentional, daily practice can help us calm our minds, clarify our relationship with God, and restore our sense of self. Less encumbered by fear and anxiety, we’re more resilient people, better able to shape healthy, resilient communities. Strive to practice 5 – 10 minutes most days. Be gentle with yourself if you need to skip a day or shorten your practice. Try each topic ― gratitude, strength & vulnerability, self-awareness ― for at least two weeks. VBS Helps Others Around the World! 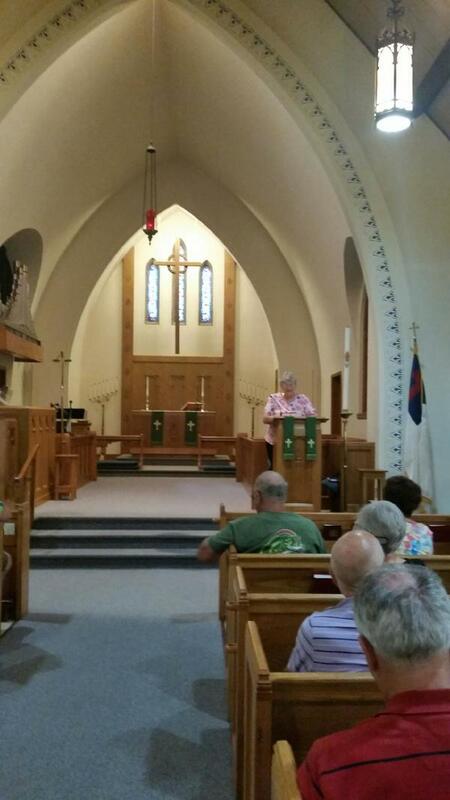 Grace Lutheran Church, Ft. Dodge Pastor, Dan Kahl, and Vacation Bible School Coordinators Laura Walters and Ellyn Lemke are pictured here with a check to God's Global Barnyard. 80 energetic VBS students, their parents and congregation members, raised $2000 in offerings to support sustainable development projects of ELCA World Hunger. The gift will purchase oxen & plow, cows, sheep, goats, fish, and other animals to help families become self-sufficient and escape the cycle of hunger and poverty. 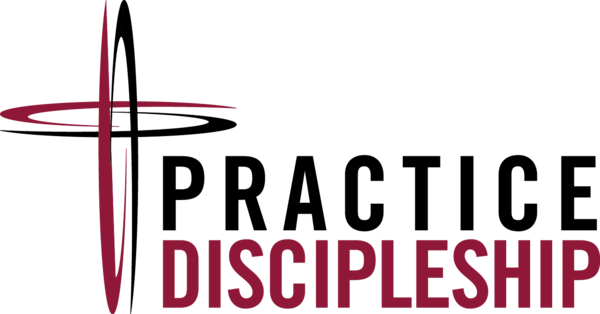 Trinity Lutheran - Starting point, 1122 Jackson St.
St John Lutheran - 2801 Jackson St.
Join us at Lutheran Lakeside for leadership development days packed full of conversation sharing, workshop learning, camp exploring and cupcake eating!! Each session is from 10:00 am - 2:00 pm; Only $5 per session/person; includes lunch and materials. 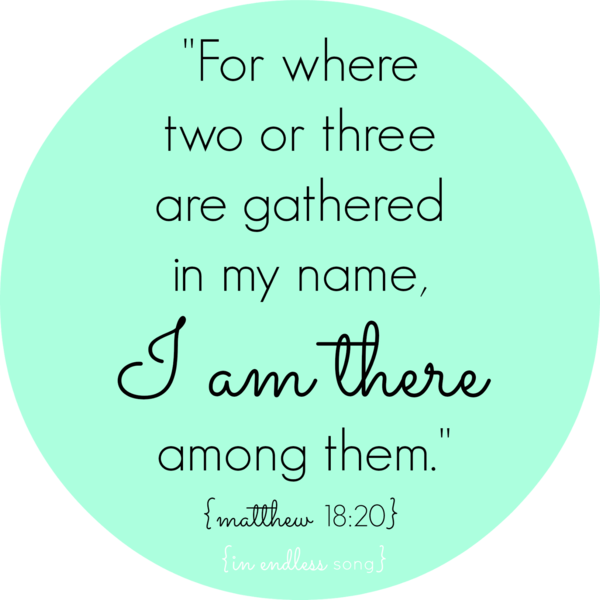 September 17th - Wonder about how to "think theologically" with children and youth. Play and learn new games! Enjoy cupcakes and conversation! 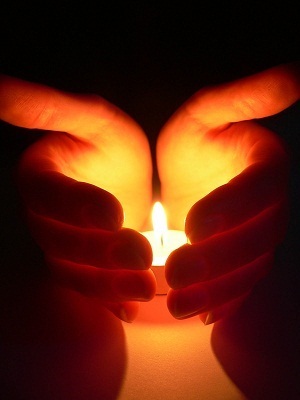 September 24th - Wonder and discover through prayer. 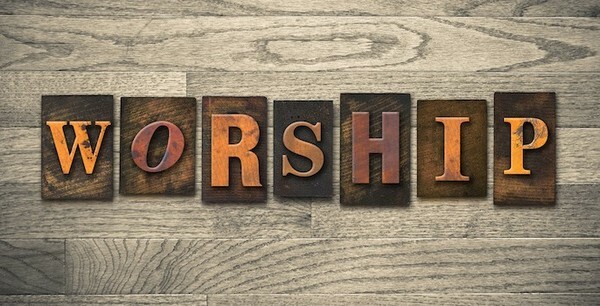 Lean how to develop "camp worship" opportunities. Enjoy cupcakes and conversation! October 8th - Wonder and re-imagine creatively. Explore and rediscover God's creative presence and vision for our lives. Enjoy making camp creations. Enjoy cupcakes and conversation! October 15th - Wonder and discover how to explore creation. Take time, walk around and learn how camp shares God's love of creation. Enjoy cupcakes and conversation!